Social Studies 9 - Mr. Goldsack Room 233 In our classroom everyone is expected to think! ​Friendly Advice...start critical thinking!!! Stop wasting time in class! Telling me what I told you will not get you credit for anything. Thanks for listening, but I need you to "think" and learn on your own (with my help and the help of your peers...remember, we're in this together! Feb 13...draw a graphic organizer. In the middle write Confederation Reasons (the reasons why the colonies needed to join). Join 6 bubbles to the middle...these are the evidence for each reason! Use the above classroom notes to create your graphic organizer. 1. Explain how Britain’s attitude changed toward the colonies during the years leading up to confederation (1840-1860). 2. Look at the image on page 75. What happened? Why did this happen? Write a newspaper article sharing the news of the event with the other colonies. Explain why it is important! Feb. 20....complete the rest of the confederation questions using your graphic organizer and the Horizons text book. HAND THEM IN WITH YOUR GRAPHIC ORGANIZER ATTACHED. In your opinion, which company (HBC or NWC) was better for (1) traders AND (2) for First Nations? List at least 3 reasons why for each-explain your reasoning! Entirely your opinion based on what you've learned. Mar. 9-12...the clash of cultures and the Incident at Seven Oaks...students were asked to write a comment on the events of that day in June 1816...what caused it? Who was to blame? What should happen? Welcome Back...April4/5...students were asked to assume the role of one of the people who lived at Red River during the years leading up to the fur trade merger in 1821..then in groups, they discussed what their relationship would have been with the other groups of people living there (Metis, First Nations, Scottish settlers, American settlers, etc.) Students were asked before the break to start investigating Metis Culture, and their own culture and prepare reports that they will present to each other in class. ​Apr. 5-13...students researched Metis culture, learned somethings about Metis culture from Mrs. Goldsack, and shared their findings during one on one presentations in class...next week students will share some information about their own unique cultural heritage....Presentations will begin this week. Students will begin a "Spy Mission" for Prime Minister Macdonald at Red River...their mission is to lear what really happened at Red River and report their findings, with a recommendation to the PM...the notes are posted below...and a hard copy of the assignment is available class. April 16-20...students will discuss the 1869 events at Red River as they continue their spy mission...presentations for the Metis and Family Culture will continue this week. Apr. 23-27...students will continue presenting one on one, and submit their reports. On Tuesday/Wednesday students watched a video about the Selkirk Settlement and discussed the importance of the area before continuing their spy mission...last chance to present your reports! INTERIM REPORTS ARE AVAILABLE ON MyEducation BC in the Term 3 "Interim" column. May 1-3...the Spy Mission is due!!! Students will begin a Primary source assignment to complete the unit. This task requires that students use the Thinking it Through text. The text is new, and shared by other classes. It is only available during class. Students must use their time effectively! This assignment involves recalling what you learned from all the earlier tasks and the Red River Spy Mission…use the primary sources in the text to form your ideas and opinions. Use full, complete sentences to answer and use examples to support your ideas! This task is designed to span several classes. Use your time effectively, and with purpose! May 7-10...students completed the primary source questions about the Red River colony, Seven Oaks and how historical perspective can work to change history over time...now that Manitoba is a province, its time for Canada to build a railway to BC. Good luck! 1) Many have said that Canada was a nation created by a railway. Do you agree or disagree? Explain your position. Chinese Workers Task at the end! September 12/13...students wrote a Sources Test (a check for understanding) about Primary and Secondary sources...a short geography unit begins with students drawing a "memory map of Canada", followed by a "mind map from the school to their home". September 14...What is Truth and Reconciliation? It would appear that the problem is our education system. Students looked at notes that told about the history of Canada...there was little mention of First Nations and some of the information was inaccurate...we decided we needed to change the way history in Canada was taught! September 18...Time to get ready to show what you know about the "Political" shape of Canada! A. For Today… choose 4 of the following and rank them in order of importance in regard to URBANIZATION in BC (Past and Present) . Provide a statement that outlines your reasons for the choice you made. B. What is an important industry in BC today? How does it impact the above activities? Hand this in!! Nov. 27...Mr. Goldsack is back....moving forward by taking a step back in time...students need to complete the questions at the end of the following notes..
Dec.4-14...students have been researching their enlightenment thinker and preparing to present their findings...in addition, students began investigating some of the events (causes) that resulted in a war (Consequence) between the Colonists in America and Britain. Dec. 18-22...students will continue learning about the causes of the American Revolution...on Dec. 20, 21, and 22 students will present their Thinker research to peers (minimum 5 different people) and submit the report, with a proper bibliography. The core competencies for this task include communication, and critical thinking skills...the bibliography is another important skill that should be learned and demonstrated! 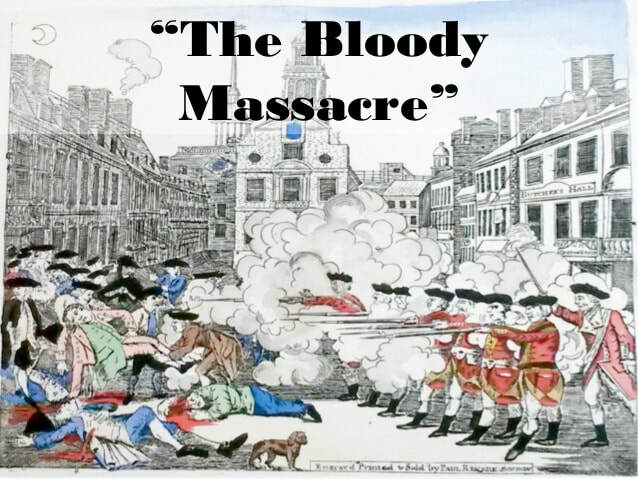 Jan 8-12...Causes of the American Revolution review and propaganda ...The incident at Boston in 1770.. students will begin the Revolutions Assignment. This task involves the past and present, critical thinking skills, and analysis of historical perspective. What was the Durham Report? Feb. 20....complete the rest of the confederation questions using your graphic organizer and the Horizons text book. HAND THEM IN. Mar.1 -8...students are learning more about the Metis and the role they played in the development of the west...In 1811when the Selkirk settlers arrived at Red River there were many Metis families already living there. How do you think the Metis responded to the arrival of the settlers?? ?